Inhale and bend your legs trying to touch your glutes with your heels. Exhale at the end of the movement. Back to the start position by controlling the movement. 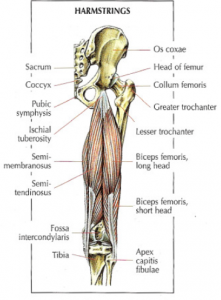 This exercise works hamstrings, gastrocnemius and in depth popliteus. 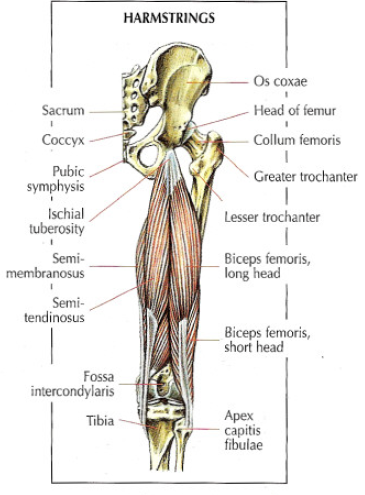 With the foot in dorsal flexion to target work on gastrocnemius. 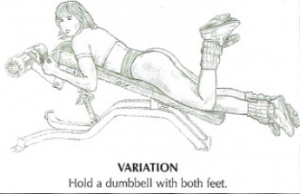 It’s possible to do this exercise by flexing legs alternately.